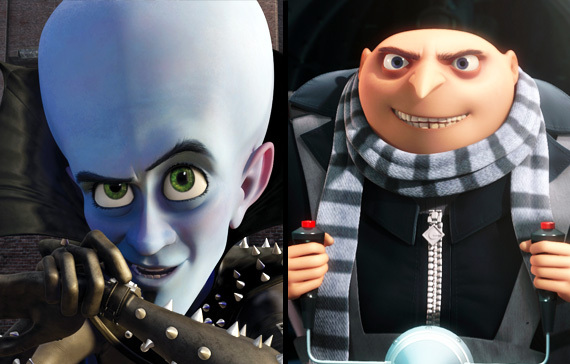 Our crack team of expert Movie Reviewers are this week comparing Megamind and Despicable Me... two movies which both featured baddies-turned-good. Usually when you get two movies on a similar theme, one is clearly better (the original) and the other a lame try-hard copycat trying to catch a ride on the coat-tails of another's success. At first glance you might think this scenario would apply to Despicable Me and Megamind. They released at around the same time. Both their main characters were villains who became reluctant heroes. So which one is the original? Which one is better? Well, actually, they are both surprisingly cool movies (for kids flicks, I mean. 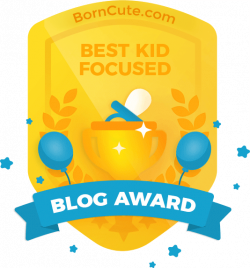 We are not talking Oscar-winners here, people). Beyond their obvious similarities, they are different enough to think that perhaps two movie producers both got the same inspiration, at the same time, completely independently. 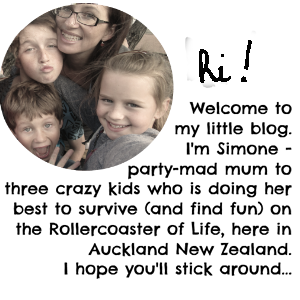 We watched Despicable Me first.... and loved it. 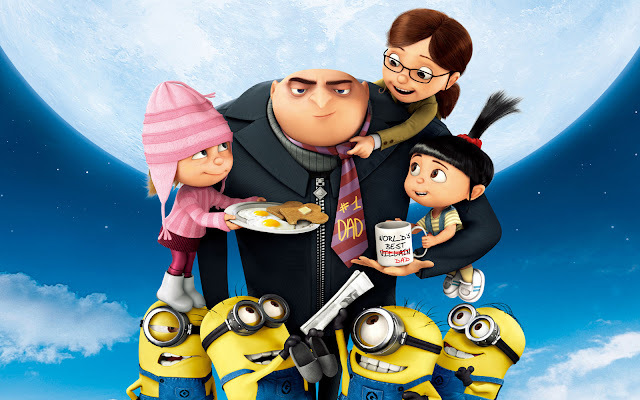 It's quirky, un-cheesy and (with Steve Carrell voicing "Gru" the "baddie") it's flippin funny. When the kids insisted on seeing Megamind too, I groaned. "Here we go with the copycat," I thought. And then had to take it back. Surprisingly, I liked it. Though not quite as much as Despicable Me. I checked out what IMDB had to say about both these movies, and I learned a few things. They were both released in 2010 (seems mere months ago - oh how time flies). 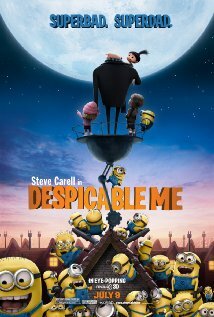 There are plenty of big names in both cast lists (I only remembered Steve Carrell as "Gru"). Despicable Me edges ahead slightly with 7.6/10. Yep, Just as I thought. Both cool, but Despicable Me slightly cooler. 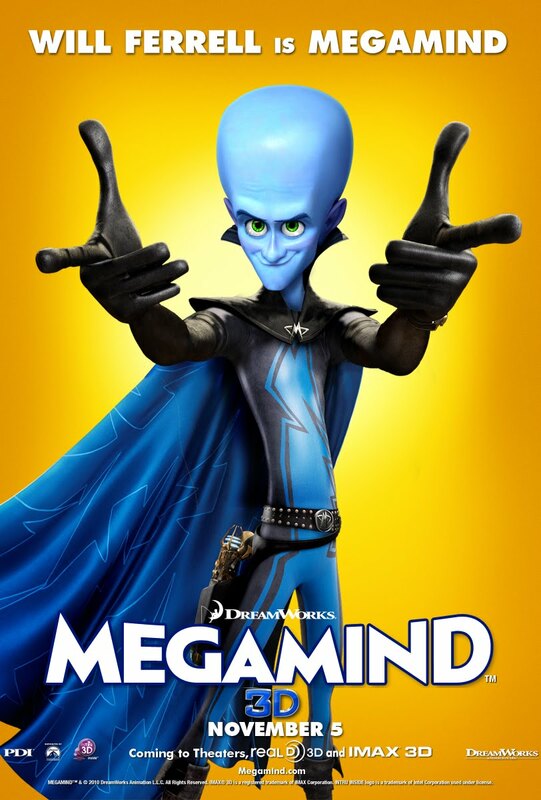 Megamind is fun. It's got a witty storyline, and an original idea: super-villain turns reluctant hero. We saw this at the movies and have watched it many times since, on DVD. All the kids like it, from the preschooler to the big boy; it's one of those kids movies I don't mind watching again from time to time. 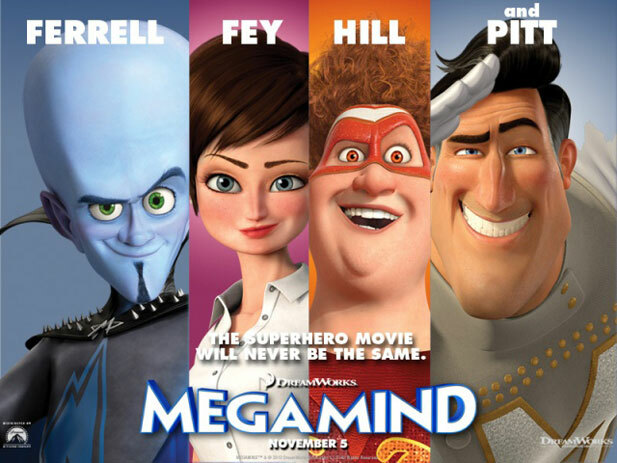 Starring the voice talents of Will Ferrell, Jonah Hill, Brad Pitt and Tina Fey. 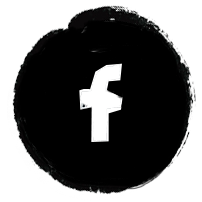 More info on IMDB. KID WATCHABILITY - good for all ages - it is PG, which I think is because there are battles and potentially confusing villains turning good. SCARY BITS - Not really any stand-out scary bits.